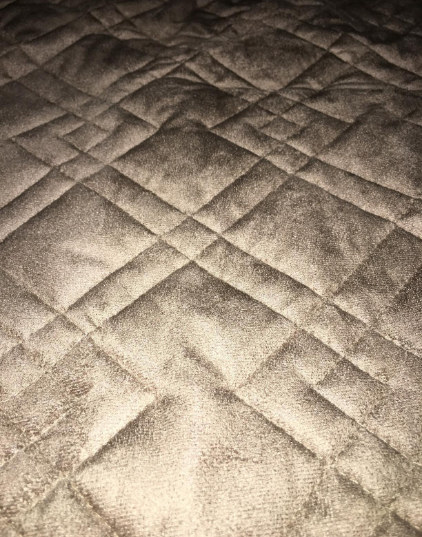 INNX Slipcovers Made of Quilted Microfiber Suede are a great way to protect your furniture from the damage that be caused by pets. 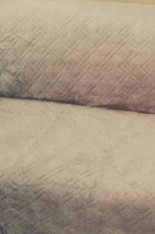 Whether you have cats, dogs, or even children, these microfiber slipcovers can provide the protection you need. They are available in various sizes to fit your needs. I got one for my couch, but you can also choose to get one for your chair or loveseat. 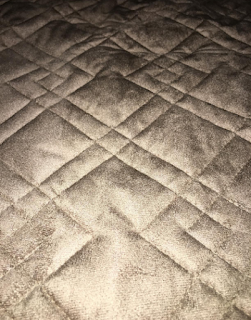 The 3 layer quilted material is comfortable, and is easy to put on your sofa, chair or loveseat. It works well on most materials, however it is not designed for use on leather furniture, and may slide off if used in this way. For other furniture, it stays in place nicely, and also comes with straps that you can use if you like. I didn't find the need to use the straps as my cover stayed nicely without them. Each size comes with a back rest and arm rests in addition to the seat cover. They are easy to install and easy to clean, and they look great on your furniture too. Put one on your couch loveseat or chair and keep the pet hair, dirt and stains off your furniture. This is great for those of us with cats or dogs who want to keep our furniture looking nice. I got this to use on my own couch, but these would also make great gifts for anyone who has pets in their home. I love that if my dog makes a bit of a mess on the couch, I can just take this off and toss it in the washer. I do the same when my grandchildren have a spill on the couch. These Innx Slipcovers are so easy to clean, and simple to put back on once it is dry.